This simple cabinet is made special with its rub-through painted finish. The two doors also contribute to the personality with the Chinese Chippendale overlay treatment on the glass insets, and ornate metal pulls. The interior has a shelf for more storage options. 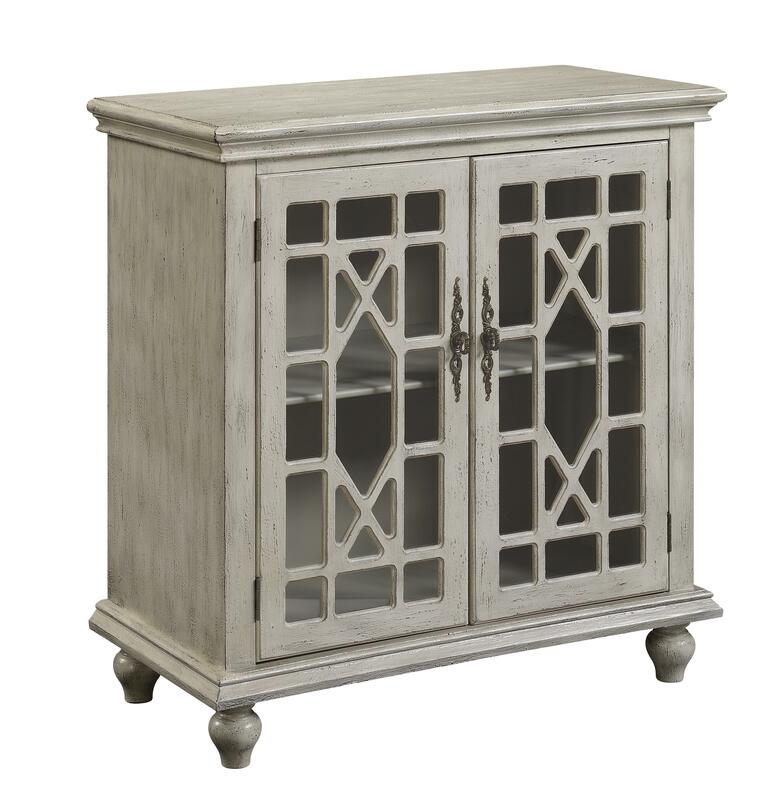 The Accents by Andy Stein 2 Door Accent Cabinet by Coast to Coast Imports at Royal Furniture in the Memphis, Nashville, Jackson, Birmingham area. Product availability may vary. Contact us for the most current availability on this product. The Accents by Andy Stein collection is a great option if you are looking for Contemporary Traditional Casual Cottage Coastal furniture in the Memphis, Nashville, Jackson, Birmingham area. Browse other items in the Accents by Andy Stein collection from Royal Furniture in the Memphis, Nashville, Jackson, Birmingham area.